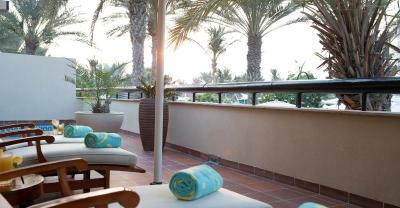 Lock in a great price for Jumeirah Beach Hotel – rated 8.6 by recent guests! The variety of restaurants was amazing. Staff were exceptional. Everything. Would like to stay here again next time. Hotel is refurbished and remains my favourite hotel in Dubai, provides nice access to many good (but very expensive) restaurants around the resort and is perfect for combination of business and pleasure. It always was a quiet haven in noisy Dubai - but not for the moment! Hotel is very clean and the location is convenient to tourist attraction. The customer service was excellent. All food was excellent to say the least, i ate both breakfast & dinner and i can't say enough, absolutely outstanding, my room with the balcony was just the correct size and the amenities were second to none, a most enjoyable stay and i will definitely return. Met Munir expectations as usual. Stayed in a 2BDR suite which wasn’t newly renovated. Lovely design and funriture. Staff friendly as always. Location good. 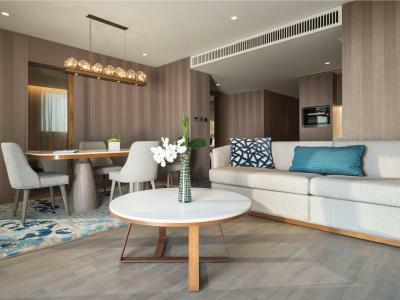 Jumeirah Beach Hotel This rating is a reflection of how the property compares to the industry standard when it comes to price, facilities and services available. It's based on a self-evaluation by the property. Use this rating to help choose your stay! One of our top picks in Dubai.This 5-star luxury Dubai hotel has a private beach and features over 10 restaurant and bars, 5 swimming pools and a climbing wall. 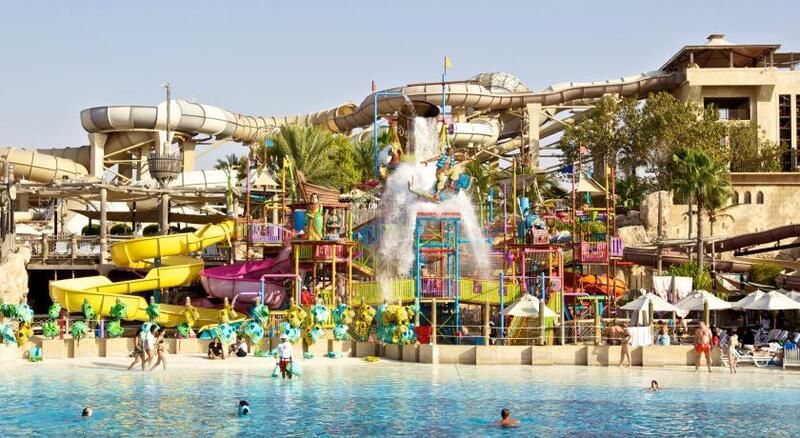 Guests staying at any Jumeirah Beach Hotel room can enjoy free unlimited access to Wild Wadi Waterpark™. 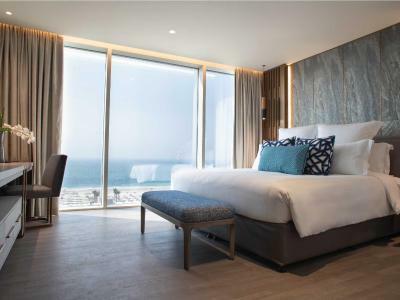 Jumeirah Beach Hotel’s rooms are spacious and have floor-to-ceiling windows looking out over the Arabian Gulf. 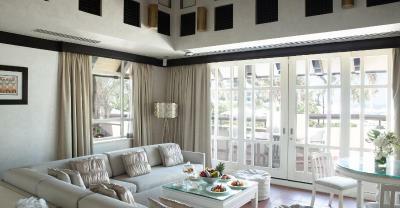 Each features a Widescreen Interactive HD LCD TV, evening turndown service and free WiFi access. Jumeirah Beach offers a wide variety of international cuisine including Argentinean and Italian. Many restaurants have a children’s menu. Refreshments are offered at the rooftop Lounge. Guests can enjoy refreshments and happy hours at Uptown bar overlooking the city skyline. The hotel has recently been renovated and all the rooms, public spaces and few of the restaurants have been upgraded and refurbished. The hotel provides complimentary shuttle service to Mall of the Emirates. Souk Madinat Jumeirah is a 10-minute stroll from the hotel. Dubai International Airport is 12 mi away. 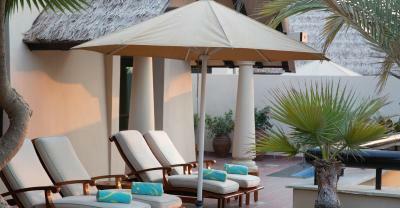 When would you like to stay at Jumeirah Beach Hotel? The Ocean Deluxe rooms allow uninterrupted views of the clear blue seas of the Arabian Gulf from the floor to ceiling windows. 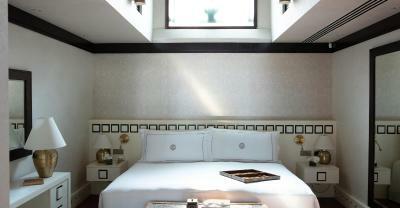 The rooms offer separate rain shower and free standing bath, complimentary WiFi and access to an array of facilities. A maximum of 2 adults and 2 children below the age of 12 years or 3 adults can be accommodated in the room. The Ocean Deluxe rooms allow uninterrupted views of the clear blue seas of the Arabian Gulf from the floor to ceiling windows. 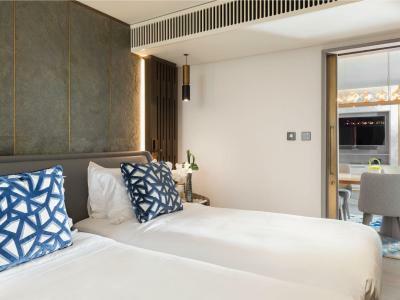 The rooms offer separate rain shower and free standing bath, complimentary WiFi, a private outdoor balcony with Arabian Gulf views and access to an array of facilities. 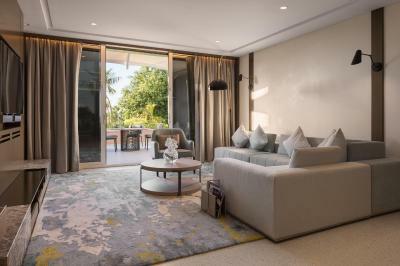 Beit Al Bahar One Bedroom Royal Villa offers you a luxurious experience with a private terrace and plunge pool overlooking a private garden or the Arabian Gulf all complemented with 24-hour dedicated butler service. The refurbished villas offer complimentary daily breakfast and afternoon tea within the privacy of your own villa, access to Club Lounges and complimentary airport transfers. A maximum of 2 adults and 2 children below the age of 12 years or 3 adults can be accommodated in the room. with additional supplementary charge. 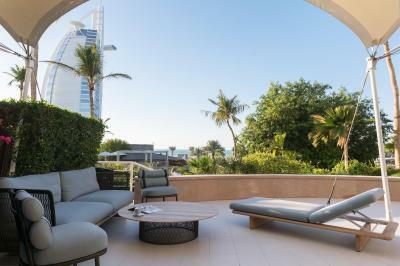 Beit Al Bahar Two Bedroom Royal Villa offers you a luxurious experience with a private terrace and plunge pool overlooking a private garden or the Arabian Gulf all complemented with 24-hour dedicated butler service. The refurbished villas offer complimentary daily breakfast and afternoon tea within the privacy of your own villa, access to Club Lounges and complimentary airport transfers. A maximum of 4 adults and 2 children below the age of 12 years or 5 adults can be accommodated in the room, with additional supplementary charge. 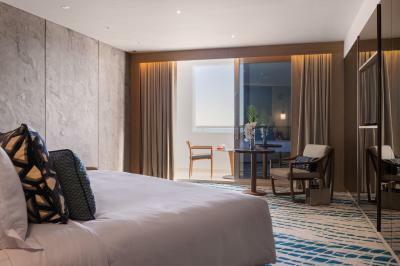 The Ocean Superior rooms allow uninterrupted views of the clear blue seas of the Arabian Gulf from the floor to ceiling windows. The rooms offer separate rain shower and free standing bath, complimentary WiFi and access to an array of facilities including Club Lounges and complimentary airport transfers. With its unique location at the sides of the hotel, the One Bedroom Ocean Suite allows you uninterrupted views of the Burj Al Arab Jumeirah and the Arabian Gulf, along with the option to relax in the privacy of your very own spacious sun terrace.The rooms offer separate rain shower and free standing bath, complimentary WiFi and access to Club Lounges. A maximum of 2 Adults and 2 Children (below the age of 12 years) or 3 Adults with additional supplementary charges can be accommodated in the room. 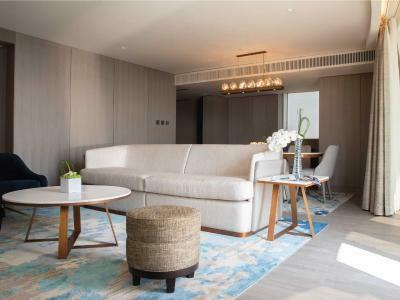 The Two Bedroom Ocean Suite offers separated living room, two bedrooms room with spacious walk-in shower and a private terrace overlooking Arabian Gulf and city skyline. The room offers access to Club Lounges for the whole family along with complimentary airport transfers. 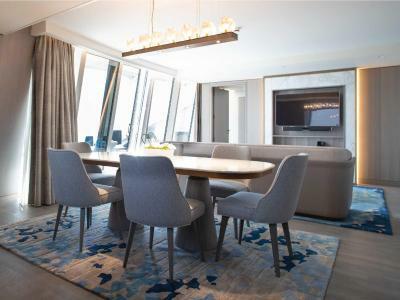 A maximum of 4 Adults and 2 Children (below the age of 12 years), or 5 adults with additional supplementary charge can be accommodated in the room. 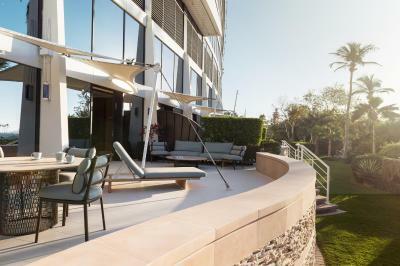 The Family Garden Suites are conveniently located on the ground level of the hotel each offering a private terrace area with direct access to the leisure pool and the hotel’s lavish gardens with a view of Burj Al Arab Jumeirah. 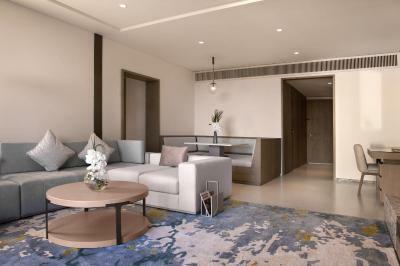 The room offers access to Club Lounges for the whole family along with complimentary airport transfers. A maximum of 2 Adults and 2 Children (below the age of 12 years) or 3 Adults with additional supplementary charges can be accommodated in the room. 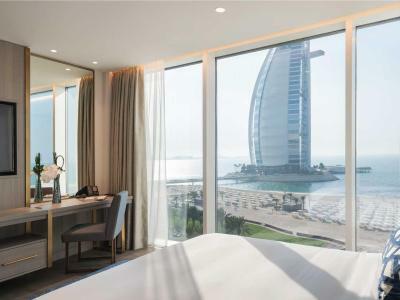 With its unique location at the sides of the hotel, the Three Bedroom Ocean Suite allows you uninterrupted views of the Burj Al Arab Jumeirah. Relax and lay back in your very own spacious terrace which overlooks either Wild Wadi Waterpark™ or the impressive Dubai skyline. Featuring separated living room and three bedrooms creating an ambiance that is calm and inviting. The suite gives you the choice to access our club lounges for a totally exclusive experience and benefits. 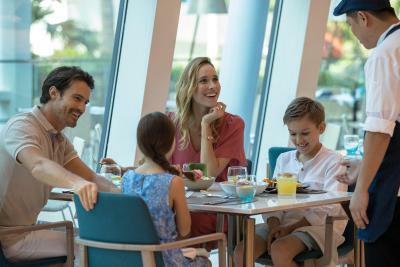 Jumeirah Beach Hotel is a luxury family beach resort that seeks to redefine the holiday experience, offering a host of family activities, leisure facilities and dining options to inspire our guests. 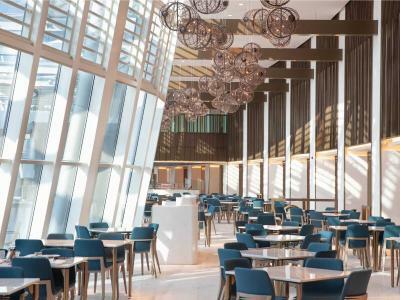 With a striking wave-like design, Jumeirah Beach Hotel is one of Dubai’s most stunning and instantly recognisable structures with blue plated glass that artfully reflects the waves of the ocean. All of our 618 rooms, suites and villas are luxuriously furnished and provide spectacular views of the Arabian Gulf. Choose from the widest array of leisure facilities including watersports experiences, entertainment for the children at Kids Club, complimentary and unlimited access to Wild Wadi Waterpark™, tennis and squash, six swimming pools, a climbing wall and private beach access. With 21 restaurants and bars, a mix of casual and fine dining options, you’ll find everything you’re looking for. 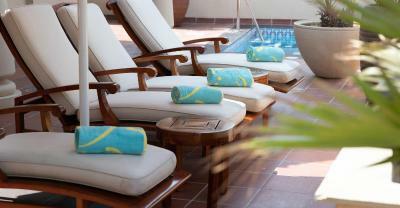 House Rules Jumeirah Beach Hotel takes special requests – add in the next step! Jumeirah Beach Hotel accepts these cards and reserves the right to temporarily hold an amount prior to arrival. New Year's Eve rate is subject to mandatory Gala Dinner, and is NOT included in the room rate. It will be added to the total cost of stay on your arrival to the hotel. Bed was too soft, woke up with a bad back. Bath very short and quite uncomfortable. Mandatory valet parking (which is free of charge for guests) is a nice gimmick but a bit unhandy when you need access to your car a couple of times in a row. Especially when you're on a road trip you will have stuff to take out or put back into the car. But the hotel staff doing the valet parking is super friendly and efficient. Location and sea view from the rooms is spectacular. The room layout and design is superb and extremely welcoming. One has to say that the hotel staff is outstanding when it comes to service and giving a very personal touch to the stay (many thanks). The on going work on the marina is a bit noisy, and a visual pollution. I would have appreciated a better communication at the time of reservation.